What is the event you ask? Gosh... its Chennai Food Guide's 8th Anniversary bash. 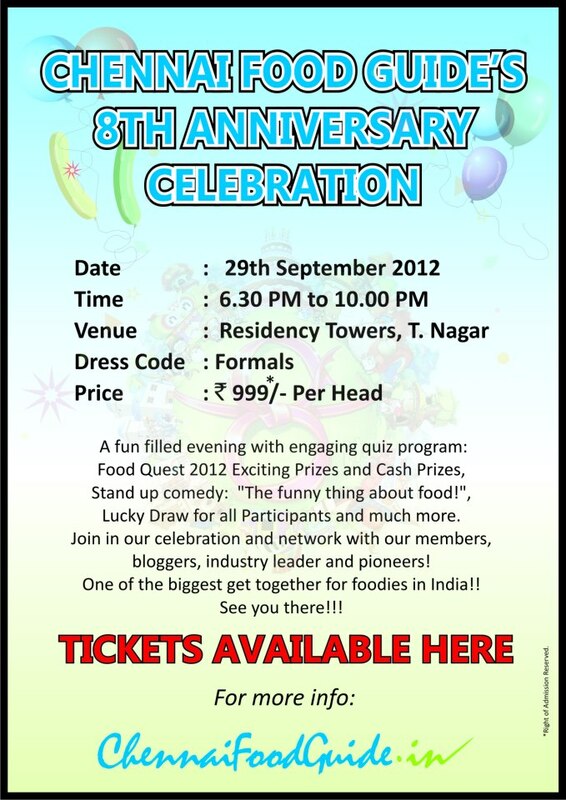 It is going to be an evening of fun, food and foodies...!! Come join us for this wonderful evening... If you would like to attend, ping me, leave a comment with your name/email id and i shall connect with you... Gracias!!! !